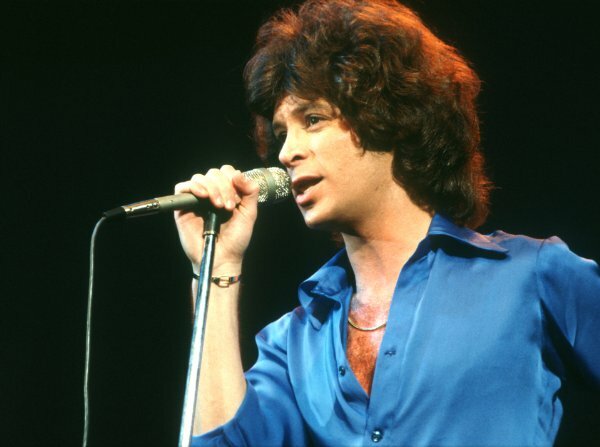 obscene chewing: the plight of eric carmen (is the plight of all of us). the plight of eric carmen (is the plight of all of us). You probably imagined you were safe from Biblical passages, nestled as you were against the warm, nourishing teat of this blog, but even your mother's milk can be poisonous. Don't become complacent in the world, friends. It doesn't belong to you, after all. It's not a trained dog that heels or a museum exhibit or a television episode. I hate to glorify my own neuroses and to regard them as something less than ordinary, but I want to tell you that yesterday evening I was accosted by the realization that I was entirely alone in the world. Now don't send out the suicide watch or the men in white jumpsuits just yet. While our aloneness in the universe may not be terribly comforting, it's liberating too—and empowering. What would happen if everyone you loved or depended upon—either for their support or for their mere presence—disappeared, died, went away? What would be left of you? You'd be sad, of course, but would you ever recover? Is there anything within you that would continue to exist without a world to see you and validate your existence? What I'm asking you, in a manner of speaking, is whether you actually exist or whether you're only a carcass—a scrap of dead meat that's only borrowed and fed off the lives of others around you? Remembering my aloneness—which wasn't completely a negative feeling—reminded me of a 'song' by Diamanda Galás' called 'Deliver Me from Mine Enemies' which quotes liberally from the Bible, particularly Psalm 22. I don't believe in god, but I think that's what makes the silence that answers this passage all the more chilling—and the misplaced trust in the mercy of fate all the more poignant. 'Let the Lord rescue him. You made me trust in you, even at my mother's breast. Sometimes it's hard not to feel as if I'm paying penance for some grave wrongdoing, perhaps from a past lifetime if not this one, and in these moments I 'pray' even though I don't believe in god. To think of the vastness of the universe and my aloneness in that vastness is temporarily comforting in that it absolves me of the terrifying responsibility that I often feel. Because having acknowledged the insignificance of my own existence, how could I have been to blame for everything or for everything to come? You may send out the men in white jumpsuits now. The men in white jumpsuits are too busy at my house. They'll get to you when they can. But I agree. I think everyone reflexively feels depressed about his/her aloneness and insignificance--and in a purely existential sense, I suppose it's not exactly the Pick Me Up bouquet of realizations--but in another sense, the awareness that we aren't bound inextricably to some spiritual order or to the will of some capricious, power-tripping god relieves us of the burden of meaning. Humans are so arrogant that they find it difficult to believe that their actions aren't ultimately very important--if not to others, than to some all-loving deity (who would qualify as a stalker under most legal definitions thereof), but it's liberating to think that we aren't responsible for everything else... only ourselves. I mean, this doesn't do away with morality. We are still (and should be) beholden to some notion of right and wrong, but it allows us to dispense with false standards that have been handed down on stone tablets, like honoring the sabbath and such, and the self-serving moralities of corrupt civilizations. No, I don't create the world--and I'm thrilled that I don't--but I do create MY world. It may not be significant, objectively speaking, but it's all I have.